Members of Nigeria's Igbo minority who claim Jewish heritage are being systematically wiped out by Islamic groups, separatist leader warns. A group claiming Jewish heritage in eastern Nigeria is facing systematic extermination at the hands of Islamic terrorists, a separatist leader warns, citing the recent discovery of mass-graves in the Abia region. 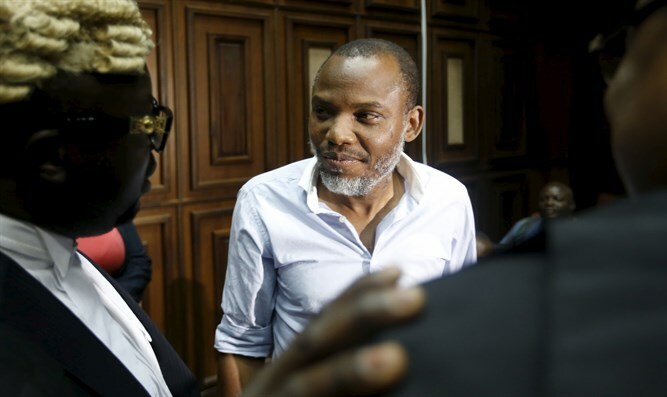 Nnamdi Kanu, a leader of the Biafra separatist movement, told Arutz Sheva Tuesday that members of a crypto-Jewish group within Nigeria’s Igbo minority have been targeted by Islamists in a recent string of mass-killings. 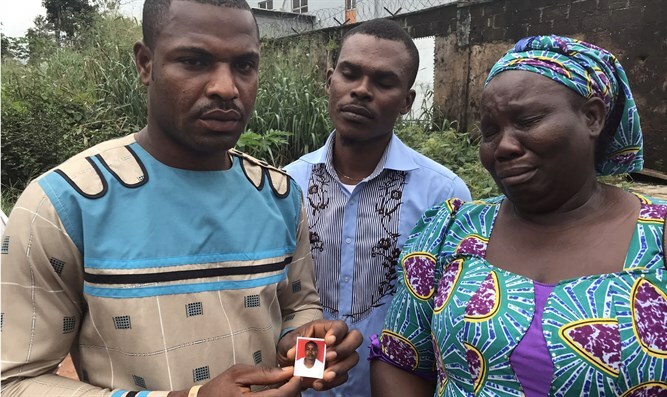 The bodies, he said, were found four days ago, dumped in ditches around the city of Aba in southern Nigeria. “The discovery four days ago of fresh human corpses inside a ditch along Aba-Port Harcourt Road in Aba, Abia State in Eastern Nigeria has raised fresh concerns and fears over intensified plans or policies to wipe off or exterminate the Judeo-Christian People of Eastern Nigeria; otherwise called ‘Igbo/Biafra-Jews’,” Kanu told Arutz Sheva. Islamic terrorism has been on the rise in Nigeria in recent years, surging after the election of President Muhammadu Buhari in 2015. According to a report by the monitor Control Risks’, the number of terror attacks annually rose from 317 in 2013 to 1,549 by 2018. Much of this increase has been attributed to the expansion of Boko Haram, an ISIS-affiliated Sunni Muslim terror organization centered in eastern Nigeria. With nearly 200 million people, Nigeria is the largest country in Africa, and is home to a variety of ethnic groups. Among them is the Igbo, a group of some 35 million living in southeastern Nigeria. In 1967, the Igbo region split off from Nigeria, forming the short-lived Republic of Biafra. By 1970, Biafra was reincorporated into Nigeria. Like some forty percent of Nigerians, most Igbo identify as Christian. Tens of thousands of Igbo, however, identify as Jewish, with many claiming Jewish ancestry – either from one of the Ten Lost Tribes, from Jewish migrants to Africa following the destruction of the Second Temple in 70 CE, or the West African Jewish communities of Bilad el-Sudan. Over the past 30 years, interest in Jewish tradition and legends of Jewish heritage among the Igbo have increased significantly, leading to the establishment of dozens of synagogues. While most of the Igbo who identify as Jewish retain elements of Christian belief and practice, some have renounced their former religion, with some even formally converting to Judaism. While a report by Howard Gorin, a Conservative rabbi from the United States, in 2006 suggested there were only a handful of verifiably halachic Jews among the Igbo, the community has continued to grow. Kanu himself has stated that he identifies as Jewish. In October 2018, Kanu surfaced in Jerusalem, after having fled Nigeria. “I owe my survival to the State of Israel,” Kanu said, noting that he received help from Israel’s Mossad, though he did not indicate what kind of assistance he may have received from Israeli authorities.